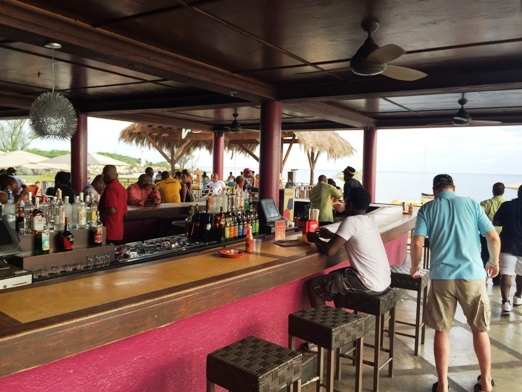 Your Catamaran Sunset Snorkel Cruise begins with a scenic and informative drive to Negril. 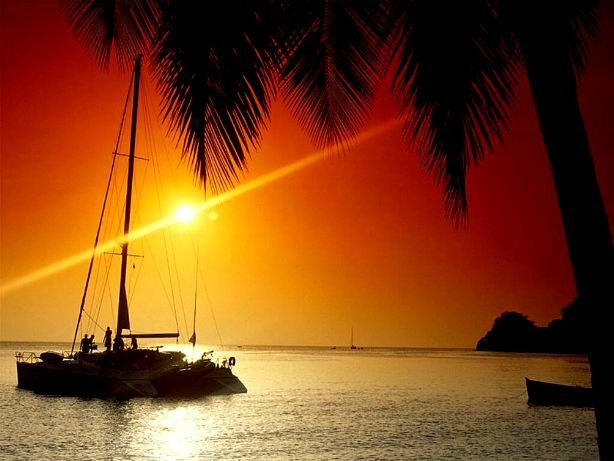 Join the crew aboard a sleek sailing catamaran to start your 3-hour catamaran sunset and snorkel cruise. 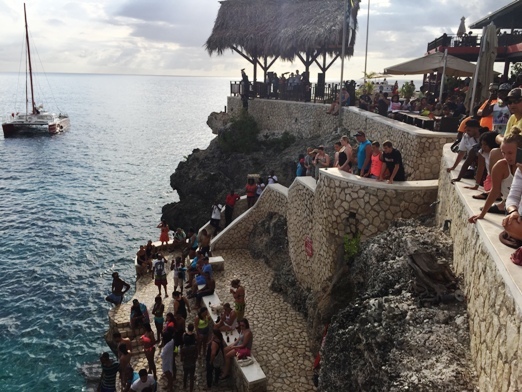 Enjoy free drinks and caribbean music as you cruise along the coast to Negril’s West End. 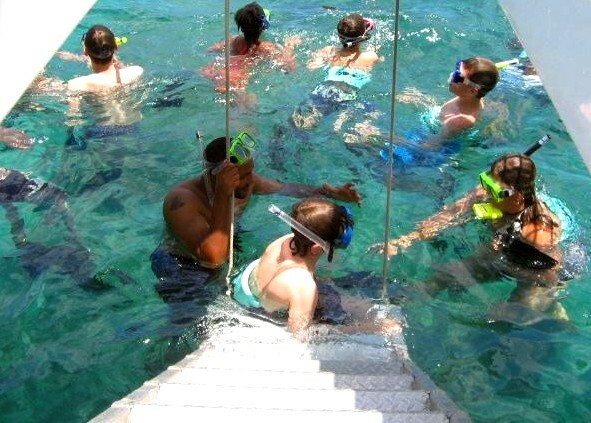 Along the way, stop to swim and snorkel among colorful tropical fish in the protected Negril Marine Park, which includes shoreline, mangrove forests, the sea and coral reefs or just relax on the boat’s deck in the sun and warm breeze. 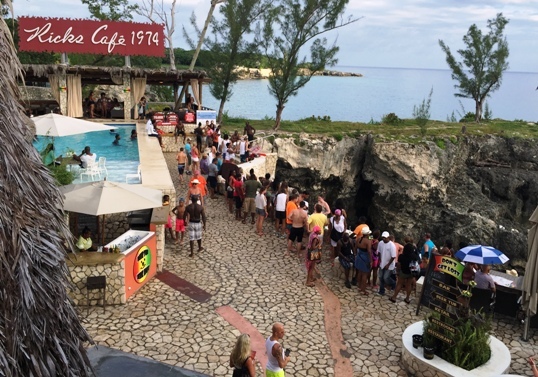 After exploring the waters, your crew will take you to world famous Rick’s Cafe to watch the Negril Sunset. 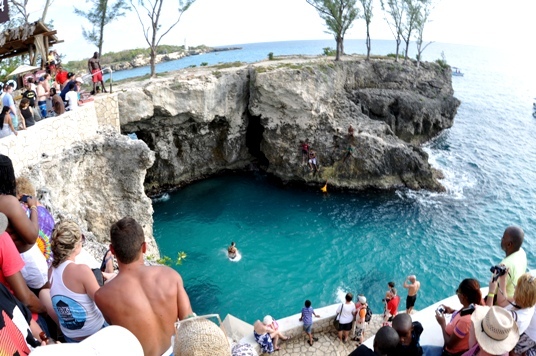 Watch the action as locals and visitors cliff jump into the blue waters. 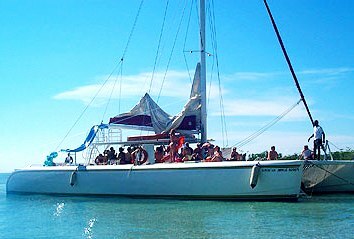 Space is limited, book your Catamaran Sunset & Snorkel Cruise today! *Tues, Thur & Sunday cruises are adults only! 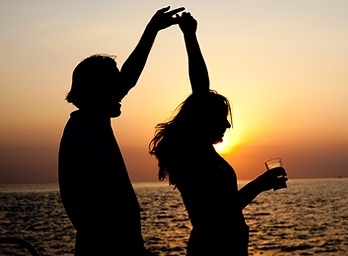 We loved everything about the Cruise and the driver was on time, professional and courteous. We had a great time on the cruise! The staff were pleasant and very entertaining. Everything was great. Booking on the website, the driver, and the cruise. We had a great time on the cruise snorkeling and at Ricks. Aside from the rain that prevented us from going to Rick\'s Cafe (one of the main reasons for the excursion) everything was great. Starting with the pick up to the drop off no complaints and all of the staff were pleasant and professional! Yes we had a great time, my son got married in the morning and we all did the catamaran cruise in the afternoon. Great time would totally do it again and recommend to others. We had an absolutely amazing time on this tour. 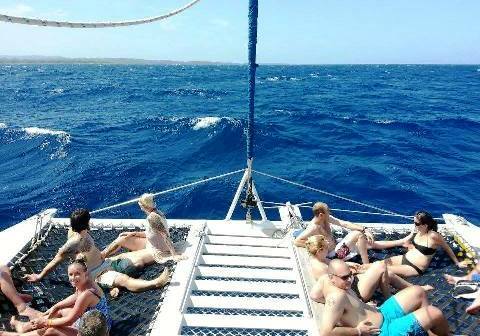 The staff on the catamaran was attentive and made sure that we had a great time. It was really a party on the water. Our driver was prompt and got us to and from our destination safely. We will certainly use Jaital again!